I worked directly with the Associate Director of Marketing for the Social Enterprise Initiative at Chicago Booth on a growth and lead generation campaign. The center wanted to increase their email database and provide information about an upcoming conference for non-profits being held in New York City. 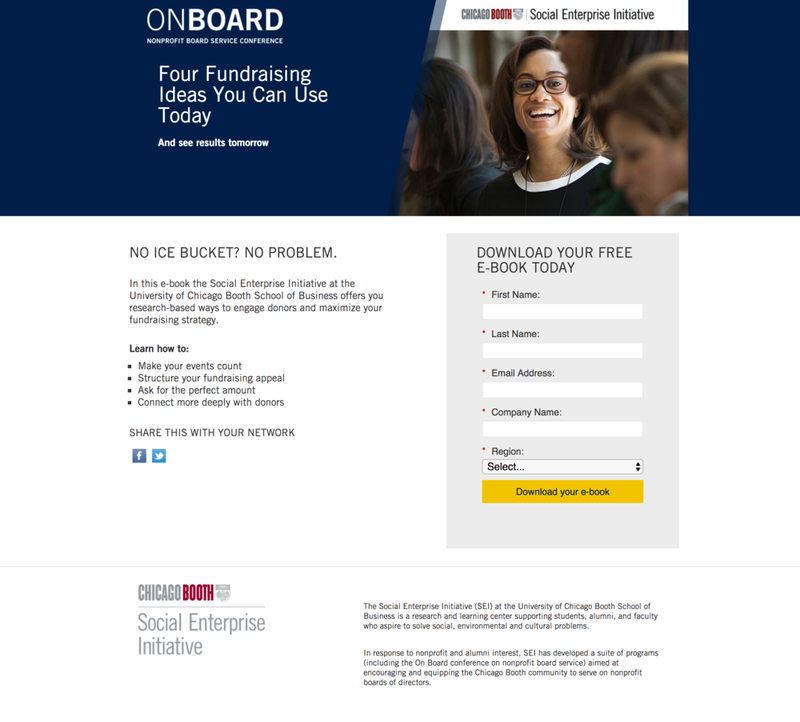 I worked directly with the Associate Director of Marketing for the Social Enterprise Initiative at Chicago Booth on a growth and lead generation campaign. I wrote copy and worked with the graphic designer to create this gif for the online display ad. This landing page goal was to get email and contact information from visitors to be added to the SEI email database. 10-page downloadable white paper in return for email address and information from landing page. The content in this paper was repurposed from research that was published in the Chicago Booth Review. By working directly with my digital designer, we were able to create a landing page that provided information on the conference, showcased the sponsors, and provide the ability to register for the event all on one page. Tweet for SEI's OnBoard conference in New York.